The orchestration of carrier-grade workloads on data center architecture will not happen until someone ­­— either the open source community, or by a networking company such as Cisco itself — figure out how to produce proper telemetry, Cisco chief technology officer and chief architect Dave Ward told keynote session attendees at the Open Networking Summit in San Francisco on Wednesday. Ward conceded that the protocols for Software Defined Networks (SDN) analytics do exist, even though he contends that the ability to harvest telemetry from the carrier-focused Network Functions Virtualization (NFV) set of technologies, does not yet exist in practice. But Ward’s comments come one day after Open Networking Lab chief architect Larry Peterson explained to this same audience that his team’s current project, called Central Office Re-architected as a Datacenter (CORD), contains a prominent analytics component designed to enable network service monitoring. The objective of telco engineers and architects is to orchestrate traffic and manage reconfigurable networks pretty much the same way Docker users orchestrate applications and interactive workloads — only on a much larger scale. 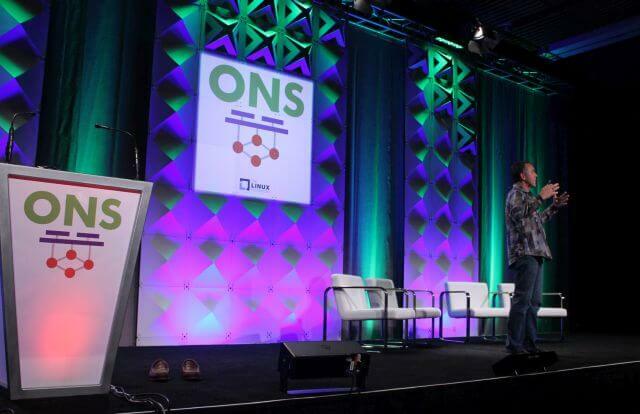 Peterson told ONS attendees Tuesday that CORD serves as a platform for orchestrating virtual routers and switches, but making those components addressable and manageable like application workloads. 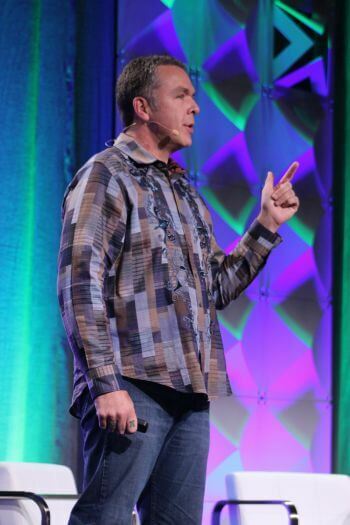 Just as a mobile app client running on a smartphone or tablet doesn’t need to know how the network works to be able to request a service from the server, Peterson argues, neither should a network service client need to know how the telco network is architected, in order to request a network service (one common example being watching a video channel). “You think of that router not as a physical box but as a service. You become a tenant of that service, and you ask for routing from that service,” explained Peterson, comparing such a request to how an application running on a cloud platform requests storage as a service. While some network services will be trusted by design, the ON.Lab chief went on, some third-party services will have to be untrusted. It’s for many reasons, but that one primarily, that any software-based platform that orchestrates network operations will need the capability to produce detailed telemetry for each container, or VM, or “node” in the virtual network. CORD had been designed with three use cases in mind — residential (R-CORD), mobile (M-CORD), and enterprise (E-CORD, which would include provisions for facets of Ethernet). Contributors to R-CORD this week have been demonstrating how a cloud-based administrative platform enables service providers to manage continent-wide communications services in real-time, using open source software both in and outside the network. 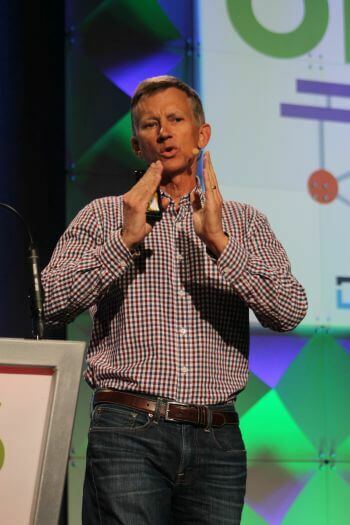 Yet as Peterson also said Tuesday that his team is also building the reference implementation for a fourth emerging use case, A-CORD, addresses carrier-grade NFV’s needs for analytics based on rich telemetry. His goal is for the reference implementations for all four use cases to become complete enough for open source developers to begin field trials. A CORD Without a Connection? So it’s not as if the word “analytics” has been a foreign object this week at ONS. What exactly does Cisco believe is missing from this discussion? “This is the reactive part of networking, when we can get the configuration and provisioning of the network, this in-and-out of telemetry into a platform, and then a bus in-between them to react to that network,” Ward explained on Wednesday. The industry needs to move from offering services at the controller layer up to offering them at the platform layer, where developers and networks consumers would feel more comfortable with. In other words, network services need to provide service views for the customer, Ward said, that are based on customer needs rather than network capabilities. The “platform layer” in Ward’s view corresponds with the application layer at the top of the stack for workload orchestration; the controller layer corresponds with the infrastructure further down in the stack. Just as with enterprise data centers, policies are scripted rules that automate the management of services, especially in the case of denying or permitting access to resources. Policies used to be applied to users, but in modern enterprise data centers, they apply to applications and what their users are permitted to access. Cisco’s Ward contended that the application layer on the service provider stack “is, in fact, something that we haven’t discussed yet, but is a huge movement in open source, and directly related to networking.” Generic cloud workloads and virtualized network functions both communicate with other nodes in their respective classes, he explained. Orchestration platforms should provide means to easily determine, through analytics, how efficiently or successfully requested services performed, Ward said. On today’s Cloud Foundry platform, a client can ask for compute, memory, and storage resources, he went on, but not yet bandwidth. Cisco is a sponsor of The New Stack. Photos by Scott M. Fulton III.